In regards to the Ravens game, I think any quality NFL QB would be thrilled to go against the same defense they faced in practice daily for the past five seasons in a real game. Maybe we shouldn’t be so surprised the defense struggled in that game. 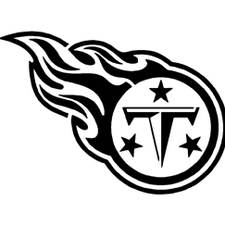 UT lost which, if I'm doing the Tennessee sportsball god calculations correctly, means the Titans are allowed victory this week. This is way more optimistic than usual from you. You're slipping, Ruskie. There is literally nothing that could happen that could make me feel worse about this team right now. Not scoring a touchdown in three of the last four games is one of the worst things I can imagine for a professional football team. I'm excited for this game but I have literally no expectations. The final score could be 100-0 and I will go on with my life as if nothing ever happened. It comes with getting older too, but in the past few years I've stopped caring about football/sports in regards to it effecting my day or whatever. Think that may be why I don't react as harshly as many here do(and hope no one takes this as an insult, I've certainly been in the same position in the past of wanting everyone fired or thinking the season was over etc after one game, I'm by no means innocent there). I remember back in 2014 after we blew the 25-3 lead or whatever we had vs Cleveland and let them come back to win, I threw a remote across the room and was as angry as I've been in quite some time. That was the breaking point of supporting Ken Whisenhunt for me, even though it was just the 5th game of his tenure, and there might not have been a person I hated more than him in that moment. Watching him ask Charlie Whitehurst to throw it like 3 straight times instead of just running the clock out just made me so angry I didn't really know what to do with myself, and there's really no excuse for that kind of behavior in my eyes. I've always been someone who generally stays pretty mellow and doesn't get too happy or too mad about anything, much less football, so that was quite the moment for me, and on that day I realized I cared way too much about something I had literally no control over and ultimately meant nothing in life. If the Titans win out and win the superbowl, that's not changing literally anything in my life. If they lose out and go 3-13, that's not changing literally anything in my life. So now I just enjoy getting to watch football, and obviously I'm happy if they win and kinda disappointed if they lose, but that feeling lasts for all of a minute or two now and I move on. After tonight, I’m pretty numb for the Titans loss tomorrow at least. As gotten older and more hip to the media game of promotion and talking heads having no idea what they talking about. Just repeating what they hear....I just don't get as down. I remember after the Baltimore playoff loss I laid on the floor truly depressed. I just don't let sports get me like that. I get upset and down but it only last for a little bit. And then I go hug the kids and wife and live life. I enjoy the sport for what it is.... our words and thoughts here change nothing with the team. It's a passionate hobby. I watch every game. I watch every play. But if they lose or lose embarrassingly, I will vent. And be upset but it passes quickly. Long way of saying nothing they do tomorrow will hurt me or excite me too high or low respectively. Wish these last two weeks hadn't happened. I'd be much more inclined to stay up until 9:30 pm to see the start of the game. Do you live in Australia or something? Philippines until end of May. Then Japan, Korea, Russia, China, or Vietnam seem to be the most likely destinations with outside shots at Poland, Croatia, or Romania after that.